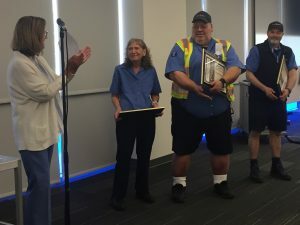 TriMet celebrated the outstanding men and women who keep our riders moving with an awards ceremony Tuesday, May 22, announcing our Operators of the Year and Million Mile Club inductees. 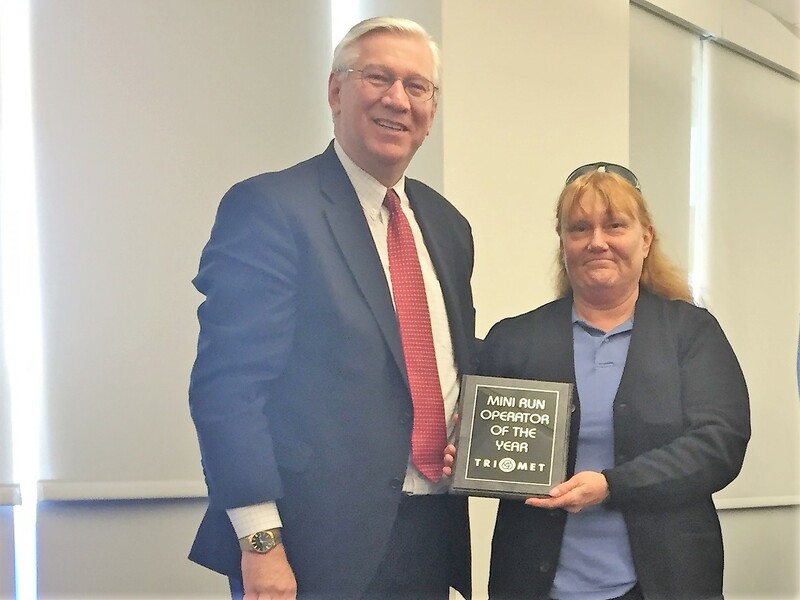 A bus operator who achieved 47 years of safe driving blew the wheels off the national Safe Driving Award. His designation is so rare, TriMet had to have a plaque specially made to mark the occasion. 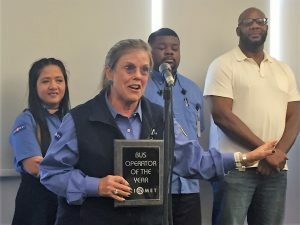 The annual awards ceremony highlights achievements by TriMet’s bus and MAX Light Rail operators in areas of safety, job performance and customer service. 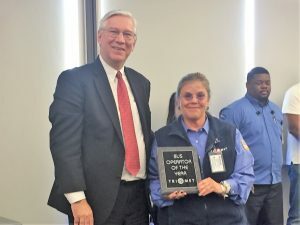 TriMet’s Operator of the Year award recognizes full and part time bus and light rail operators who demonstrate exceptional efforts in all aspects of their work. Selected through a vote of their peers, Operators of the Year also cultivate positive relationships with co-workers and our riders. 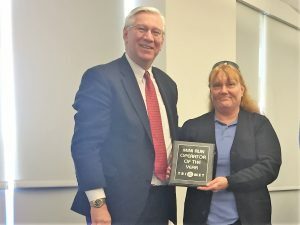 Operators may be inducted into the Million Mile Club once they reach one million miles or 25,000 hours driving without a preventable accident. (That’s more than the equivalent of driving from the earth to the moon and back — twice!) The designation is recognized by the National Safety Council. Also receiving recognition at this year’s ceremony, was bus operator Ed Frey, who celebrated 47 years of safe driving. The Safe Driving Award, established by the National Safety Council, acknowledges each year driven without incident up to 45 years. Since Ed achieved that milestone and more, TriMet created a special plaque to honor of his achievement. To date, Ed’s logged about 1.6 million safe driving miles – enough to circle the earth more than 64 times! TriMet salutes the operators honored with these designations and all of the dedicated employees who keep our buses and MAX trains running safely and smoothly. On average, our operators provide more than 300,000 trips per day, getting people where they need to go, whether its work, school or play. They keep the Portland region moving! In the last year, 1,055 TriMet bus and light rail operators received a Safe Driving Award from the National Safety Council. Would you like to join our exceptional team? TriMet is hiring! Visit trimet.org/careers to apply.